FINLAND – The Finnish food packaging company, Huhtamaki has launched a new line of paper straws to increase availability of sustainable choices and alternatives to plastic straws. The development comes after the company invested in new, purpose-built machinery to expand its capabilities in providing sustainable materials for food packaging products. Huhtamaki said the new paper straws are made of fiber coming from sustainably managed forests and that 100% of the paper used in the straws and in their wrapping is PEFC certified. They are said to be made with strong, functional and reliable material making to be suitably used in food and beverage applications. They are manufactured in facilities with highest safety standards and have been tested and certified for food safety in Europe, China and the United States, revealed the company. The new paper straws will include several new size variants in addition to the standard size with 7.3 mm diameter. “Our paper straws are crafted to be strong, reliable and functional. We have invested in new, purpose-built machinery to deliver premium product quality. We are confident that we can offer paper straws that are durable and superior in performance compared to the current market offering. Our straws are also both odour and taint free,” said Neal McCone, of Huhtamaki’s foodservice Europe-Asia-Oceania business segment. “In addition to new machines, we have also invested into new manufacturing setups for paper straws. We look forward to the opportunity to offer a sustainable choice, grow the market and be the leading supplier. The company will invest and expand its manufacturing capacity in paper straws in other key markets starting from the UK, to Europe then globally to reach all its customers. This comes in the middle of concerns about the impact of non-biodegradable plastics on the environment. Earlier this year, Coca-Cola Amatil said it will no longer distribute plastic drinking straws or stirrers in Australia and will instead stock fully recyclable and biodegradable Forest Stewardship Council-accredited paper straws. 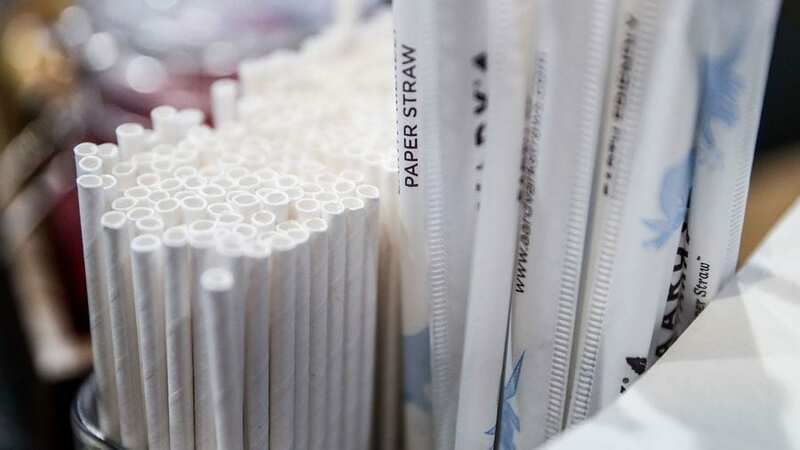 Other companies that have joined the race to rid of plastic straws include McDonald’s, Diageo and Pernod Ricard.